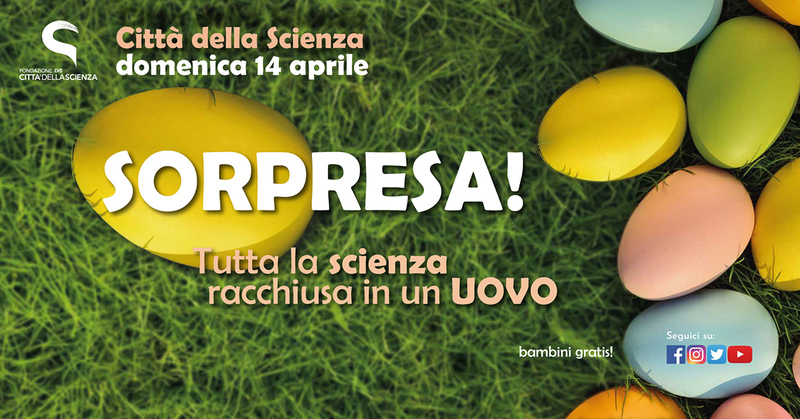 Spring is finally near and in Città della Scienza there is always an air of celebration. Sunday, April 14th , 2019 the great Easter party awaits adults and children to take them in a fun and playful Easter dimension and spend a wonderfull day in the name of Science and Fun! We will show how much Science stands in a simple Egg, where the tradition of exchanging eggs at Easter comes from, learning about chocolate is one of the symbols of the holiday and many other curiosities about the sunniest and most desired spring festival. Our Music Square will come alive with music, scientific games, bike trial performances and exhilarating science shows! ……… and many surprises that you will discover in the forecoming days!